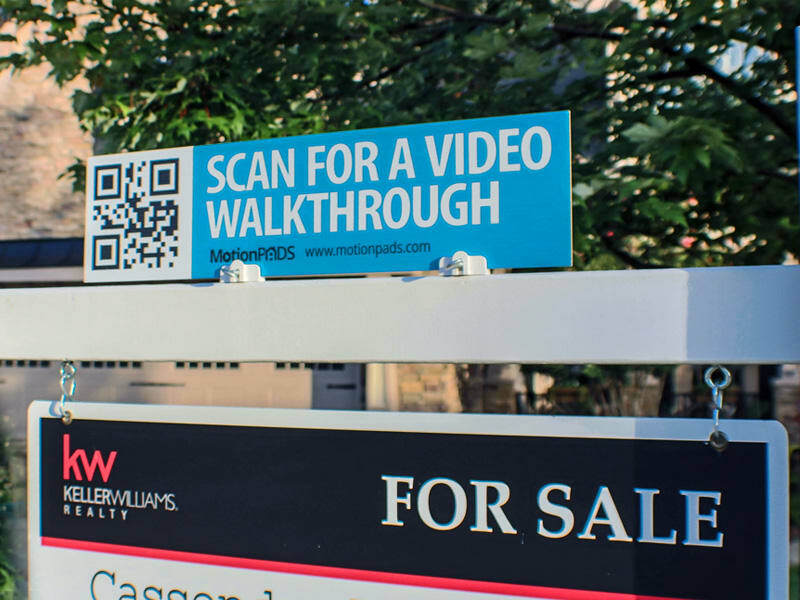 Maximize your listings exposure using our QR code rider signs. These signs have QR codes on them that are custom to your video or photos. When potential buyers scan the barcode it directs them to your VideoTour or PhotoTour – giving them quick access to view inside the home with a lead generating form! It’s like having a 24/7 open house!